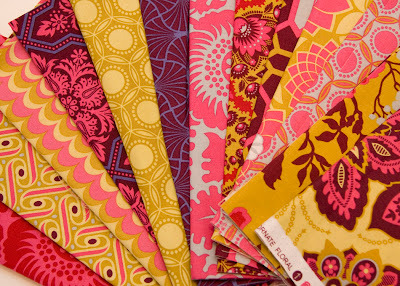 It is very rare for me to love a fabric line so much that I buy the whole thing (AKA: this has never happened before). Yesterday I received my biggest fabric splurge ever. I am in love with the new Joel Dewberry Heirloom line even though everything tells me I shouldn't be. I don't love pink. I am really not a fan at all of purple. I don't usually like big floral prints, yet I'm in love. I can't explain it. 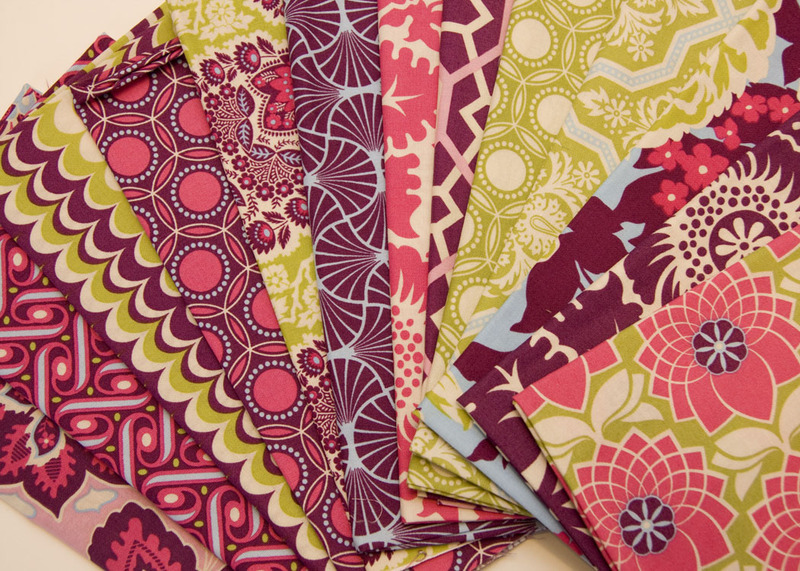 I already have a quilt in mind for these beautiful stacks of fabrics. I bought a FQ stack in each colorway from the wonderful Brenda over at Pink Castle Fabrics. I also bought these for a skirt, and I can't wait to get started! I understand! I'm considering doing the same thing - for the first time - with Terrain by Kate Spain. Just love it, even tho it's not 'me!' Enjoy!! Can't wait to see what you make with it! I love this line too - I just put it on my Pinterest board IndiannaDreams. My favourite is the Spirograph Flower...not sure of its actual name but that's what it reminds me of. Sometimes a change of colour is good for us too. They are stunning! Can't wait to see your projects. Enjoy your goodies! Just got my shipment from Pink Castle too! Sooooo beautiful. I think I love anything Dewberry. Ahh that is the thing about love.. it doesn't make sense.. it just IS.. Same thing happened to me when I first saw my husband.. thought he was a total idiot.. and now we have been married 23 years.. who knew?? Those are gorgeous. I think I need them. Oooh, I can see why you bought them all...they are gorgeous! I totally share your love. I am really holding myself back from buying absolutely everything too. Isn't it so fun to get mail like that? Those are always the best days - maybe because they're so rare :) enjoy all that beauty! It is so awesome but I'm on a no new fabric diet so will just look! Can't wait to see the skirt! I completely agree! I love this line and don't think there is a bad print in it. I especially love the ruby colorway. I can't wait to see what you do with it! I love them so much too! 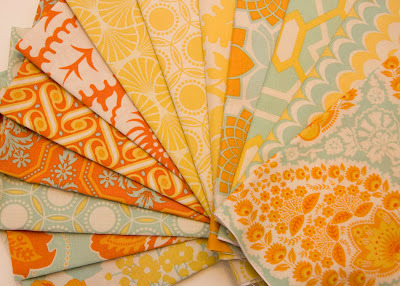 I have several of the prints in the Citrine color palette for a Swoon quilt. I love the Blockprint Blossom print the most. 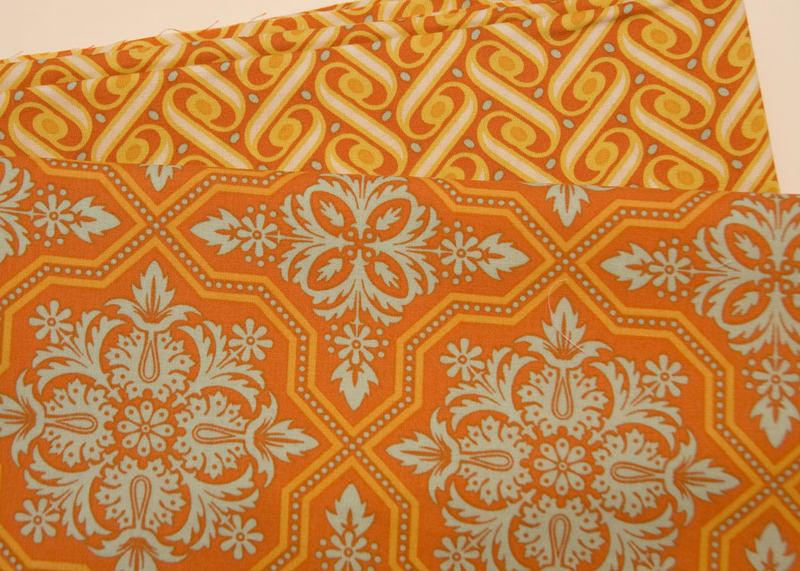 I think it might be my favorite fabric at the moment. Woo woo! There are so awesome basics in this new fabric line. My last fabric shopping trip for the summer is on Saturday (gotta diet! ), and I'm hoping the LQS has some of this! Those fabrics are sooooo awesome!! Why shouldn't you love it, I do! I just bought the sapphire range plus a few from Ruby ANd I got it for 25% off, even better. I'm looking forward to seeing what you do with it, I have no idea at this stage. I bought the entire stack, too! I haven't done that since I started quilting! 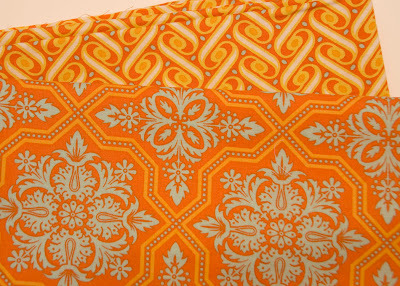 I'm going to use it for a king size (yep, that's right) comforter using the Swoon pattern :) Can't wait to see your project! very very nice!!! I've only bought full selections 3x in my 2 years quilting and have loved what I have made with them! I fell in love with this line too, especially the ruby and citrine palette. My order of them just arrived today! I'm quite taken with these prints, and I'm not a "flower" person either! What skirt pattern are you planning to use? You are absolutely right, they are fabulous!! My heirloom stash arrived today (sapphire and some ruby), Im thinking of using it for a "Swoon" quilt, but am wondering if I should be a bit adventurous with the background colour. What do you think?